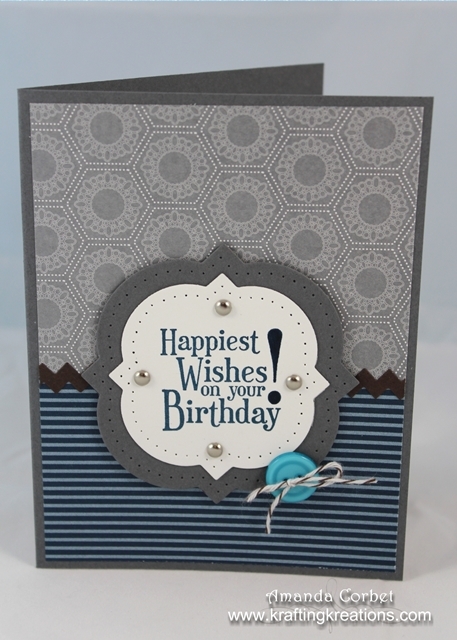 Krafting Kreations: Happiest Birthday Wishes! I have a sketch card to share with you today! This one was created for the SCCSC128 sketch challenge on Stampin’ Connection and is a masculine birthday card. Take a look! For this quick masculine card I started off with a piece of Basic Gray card stock cut at 5-1/2” x 8-1/2” and scored it at 4-1/4”. Next I cut a piece of Twitterpated DSP 3” x 4” and adhered it onto the top of the card front. Next I cut a piece of the Midnight Muse striped DSP 2-1/4” x 4” and adhered it onto the bottom of the card front. I had the Early Espresso ric-rac left over from something else that I used the Tasteful Trim die to cut so I trimmed it down to 4” long and adhered it over the seam of the DSP. 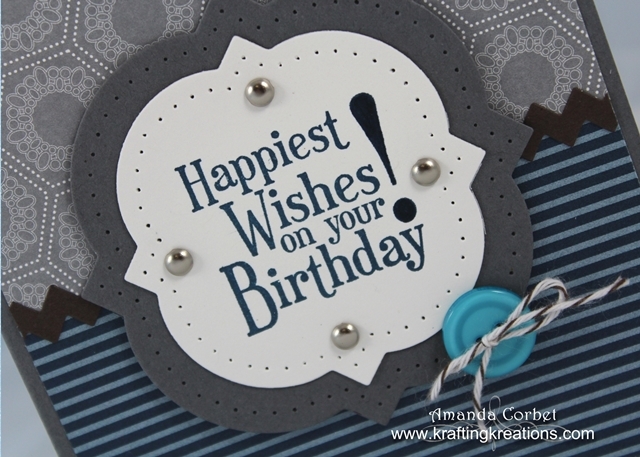 Next I stamped the greeting from Happiest Birthday Wishes (retired) onto a scrap of Whisper White card stock and cut it out with the Window Frames Framelit. I also cut the next size up from a scrap of Basic Gray card stock. Then I used the Festive Piercing Pack, Stampin’ Pierce Mat, and Paper Piercer, to pierce around the edge of both the Whisper White and Basic Gray die cuts. I adhered the Whisper White label on top of the Basic Gray label then used the Paper Piercer to pierce a hole in each of the four points and added a Silver Brad. 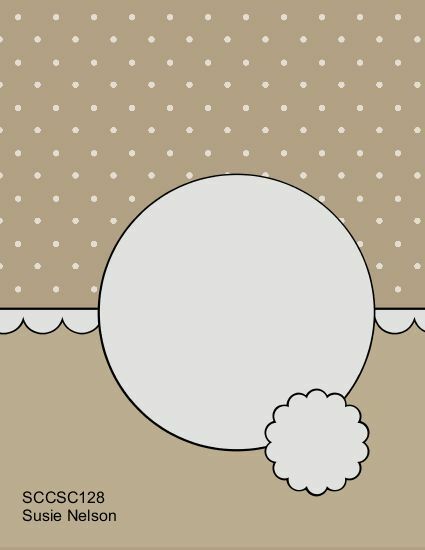 I adhered this onto the card front with Stampin’ Dimensionals. To add a little pop of color I threaded some Early Espresso Baker’s Twine through the holes in a Tempting Turquoise button, tied it into a bow, and adhered the button onto the card front with a Glue Dot. Fast, easy, and used a bunch of scraps! What do you think?